A Russian fighter plane flew within five feet of a U.S. Navy plane over the Black Sea on Monday, Jan. 29, defense officials said. 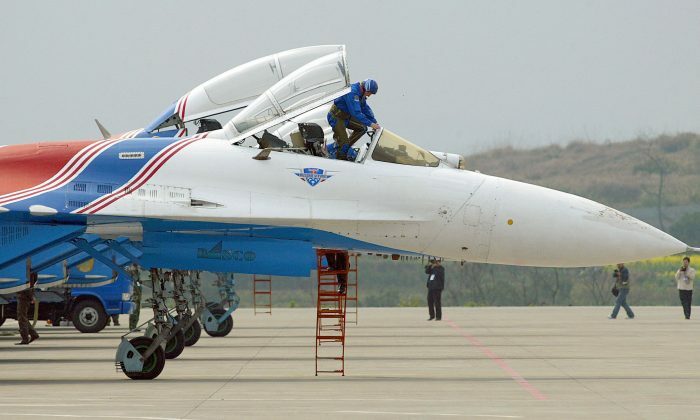 But a Russian Su-27 aircraft came within a few feet of the U.S. plane, “crossing directly through the EP-3’s flight path,” the Pentagon said. “This interaction was determined to be unsafe due to the SU-27 closing to within five feet and crossing directly through the EP-3’s flight path, causing the EP-3 to fly through the SU-27’s jet wash,” said a statement from the U.S. Naval Forces Europe-Africa Public Affairs department. The entire incident lasted two hours and 40 minutes, officials said. “The Russian military is within its right to operate within international airspace, but they must behave within international standards set to ensure safety and prevent incidents, including the 1972 Agreement for the Prevention of Incidents on and Over the High Seas (INCSEA). Unsafe actions‎ increase the risk of miscalculation and midair collisions,” the Pentagon said. One official, who was not named, told CNN that the intercepted U.S. Navy aircraft was forced to end its mission prematurely. The Russian Defense Ministry, however, said that its jet flew “strictly in accordance with international rules” during the encounter. “The entire flight of the Russian Su-27 was strictly in accordance with international rules for the use of airspace and there were no extraordinary events,” the statement added. It’s the first unsafe incident between U.S. and Russian jets since November, which also took place over the Black Sea.